Data is a map of interconnected points as far as the eye can see. There’s no finite end to the numbers, which makes data powerful to harness … but overwhelming to work with. For better or worse, the options are limitless! The success of a customer support team often hinges on the ability to navigate this vast maze of data to gain insights that drive real results. Not unlike in a board game, to chart an efficient path toward an overarching goal, you need to make sure you don’t get lost or fumble over unexpected challenges. With so many metrics to explore, it’s easy to get pulled off track. Before you know it, you spent the entire day at the mercy of one customized report that serves no real purpose. When it comes to reporting, focusing on value is everything. Teams that curate their data in alignment with clear questions and clearer goals reap the greatest benefits from this treasure trove of information. 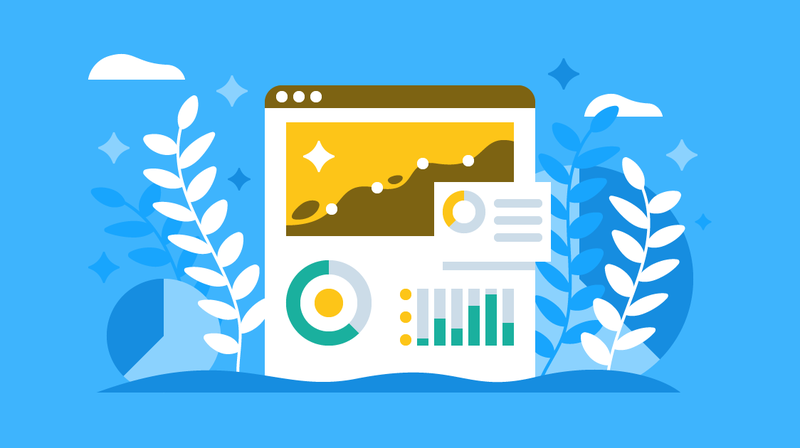 Here’s how to dive into the essentials of building impactful customer support reports with Help Scout, so you can harness the power of data without getting lost in the debris. Help Scout reports give you more data than you can shake a stick at. Sign up for your free 15-day trial today. Every impactful report starts with an insightful question. What exactly do you want to know? The topic or issue can be as broad or specific as you like related to performance, product or customer experience. You can get as granular as the hour-to-hour efficiency of your support team or as broad as the most common hiccups customers faced in the last year. The most important part of this step is to make sure that the question you ask is tied to a primary business goal or KPI. Every query should help inform a way to increase profits (growth metrics) or decrease cost (retention metrics) — because if you just start messing with data for data’s sake, you’re not going to create an actionable report that holds value for your company. How happy are customers with our support? Are there any components of our products that need adjustment? How successful is the team this day, month, year? At Help Scout, we know from experience that one metric can’t tell you everything. If you want to answer a guiding question, you need to assess multiple metrics to paint a clearer picture. Help Scout CEO Nick Francis believes in choosing a quantity and a quality metric for each question. In the case of “How is our support team performing?” you could look at both the response time (quantity metric) and the happiness rating (quality metric). Together, the two metrics tell you how quickly a team responds to customers and how effective they are at making customers happy. Instead of analyzing each metric in a silo, notice any connection between the numbers that may pinpoint a deeper conclusion. For example, when the response time goes above four hours, you may see a serious and consistent drop in the happiness rating. Together, the two metrics tell you a story: Responding within four hours is essential to customer satisfaction across the board. Mo McKibbin uses the example of a diet to illustrate the same idea. Let’s say you want to lose weight this year. You could use one metric — weight loss — to measure your success. But there are a lot of unhealthy ways to lose weight that could make you feel terrible in the long run. Instead, you could add in a quality metric to the equation: how much weight you lose and how healthy you feel on a daily basis. Together, they give you a clearer picture of whether a new exercise regime and diet are supporting your health for the long term. When you’re curating these metrics to present to an individual or team, focus on what the specific audience needs to know. The scale and detail you include (as well as how you present them) may vary depending on the audience, even if you’re addressing the same question. In the example of “How is our support team performing?” the report should look different based on the audience. An individual agent needs to know their team isn’t being efficient this week, but the CEO doesn’t need to know that this specific week has seen a small drop in productivity on the team. This flexible, curated approach to reports ensures the story behind the data doesn’t get lost in the numbers — because what’s the point of a report that doesn’t communicate value? Curating data may sound overwhelming, but in Help Scout, it’s much more intuitive than it sounds. Our help desk’s reporting is robust, easy to interpret, and simple to manipulate. There’s no need to spend days or weeks building custom reports because everything is already at your fingertips. With the Reports Views, you have the flexibility to filter data for the audience (and save the results) depending on the report. A report should always help a company improve, or it’s not worth sharing. When you’re analyzing the data, highlight any changes, trends or correlations in the numbers and let go of everything else. These fluctuations help you pinpoint the most valuable insights that spark positive change. Which customer support metrics should you measure and report on? It can be hard to know where to start, but this free guide breaks it down and makes it easy! There’s no doubt: Data-driven customer support can transform the customer experience. But to create meaningful growth, you need to dive into the customers’ and support team’s real life experiences, too. That means harnessing empathy — and a healthy dose of narrative feedback — to build a story that may or may not support what you’re seeing in the numbers. At Help Scout, we use customer interviews to get at the heart of how people experience the product. Nick still talks to multiple customers a week, so we always have our pulse on the day-to-day “feeling” around the product. As we prepare to launch big improvements to Beacon, for example, we’re talking to customer after customer about their processes and needs, and we’re making adjustments to the product along the way based on that feedback. Similarly, when good support managers talk to their teams, they ask each person how they feel they’re doing and what their life is like at the time. When the data shows a team member is struggling at work, might they be struggling at home, too? Would they benefit from some time off to regroup? These narrative experiences can point to the “why” and the “how” behind trends in the data, which are just as important as the numbers themselves. By guiding reports with clear questions, balancing multiple metrics, and curating the data, you can create reports that drive results in the long term. Together with a human-centered approach, this data helps boost team performance, serving customers every day.